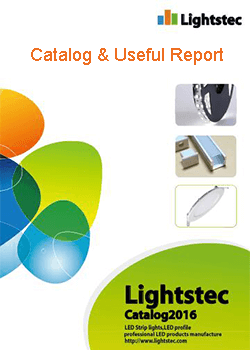 We are doing led lighting business.The most important thing we need to know is which is the biggest lighting market in the world.From the biggest lighting market,you will know what kinds of lighting are best selling?How is the price in the market?How can i sourcing the led lighting supplier?How to improt led light from China market?I think you will have all the answers after you visit the world’s biggest led light market in China. How many kinds of led light can we sourcing in Guzhen? How is the led factory price in Guzhen? How many famous lighting market in Guzhen? Do I need to visit the led lighting factory? Does it any other lighting market in China except Guzhen? How to go to Guzhen from Guangzhou? How to go to Guzhen from HongKong? How to go to Guzhen from Shenzhe? 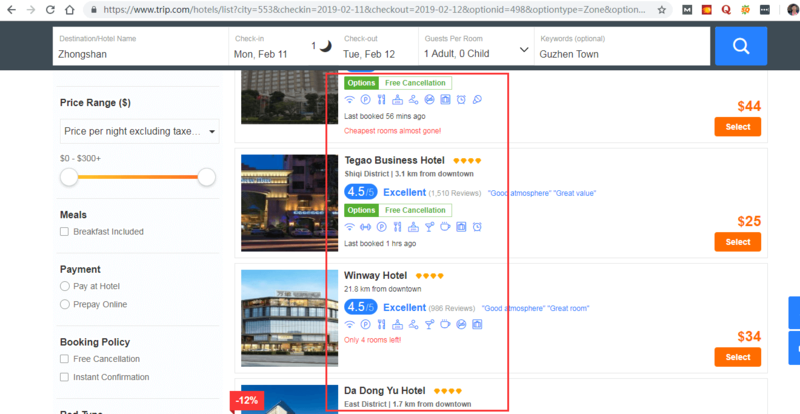 How to book hotels in Guzhen? Maybe you have hear Guzhen before.But many clients are not visit Guzhen before. Guzhen town is located in Zhongshan City,Guangdong Province.Lighting industry is the leading industry of the town.Guzhen is famous as “Lighting capital in China”. Guzhen is not only the biggest wholesale lighting market in China but also the biggest led light production base and the biggest manufacturing base in China. From the map,we know Guzhen is near Guangzhou,Shenzhen and Hongkong.It is convince for client come to Guzhen from all over the world. In Guangdong province,75% of lamps are purchased from Guzhen lighting factory.Guzhen town is the most important wholesale lighting market in China.Many lighting retailers are sourcing led lights from Guzhen lighting market. At present,Guzhen have more than7,000 lighting enterprises,30 billion RMB annual sales,more than 110,000 employees.Professional lighting wholesale market radiation across all the country.In China,more than 60% of lamps are purchased from factory in Guzhen.Guzhen have the complete industrial chain and value chain.Reflecting the more complete characteristics of industrial clusters.Many clients are sourcing led lighting manufacturer from Guzhen. Guzhen have some famous lighting brands:Huayi,Op,Kaiyuan,OKS,Liangyi,Shengqiu,Reese,Pin-Oterrand,Huayi Group,Giulio,Tongshida,Lightstec,Kielang,Zhongyi and so on. Let’s Check this videos that the lighting business man introduce Guzhen.If you have not visit Guzhen before.You have better check this videos. You can not imagine how many kinds of lighting in Guzhen. Led bulb lights,Chandeliers&Pendant lights,Led strip lights,led street lights,Garden lights,led grow lights,emergency lights,flashlights,headlamps,holiday lighting,led landscape lamps,led sensor lights,led book lights,ceiling fans,ceiling lights,crystal lights,down lights,floor lamps,grille lamps,high bay lights,night lights,spot lights,table lamps,reading lamps,wall lights,ballasts,dimmers,heat sinks,lamp covers,lamp shades,lamp cups,lamp holders,lamp bases,lamp poles,led strip light,light lifters,starters,energy saving,fluorescent,bulbs,high pressure sodium lamps,incandescent bulbs,induction lamps,mercury lamps,metal halide lamps,neon bulbs,tubes,xenon lamps. And many many kinds of custom-made led light.You can find most of the led light in the world here. 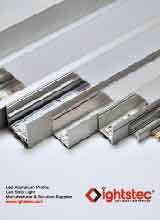 When you are sourcing led lights from China.Price is the important things need to think about.For the price,because of the profit,the people from all over the world come here sourcing led lights they want.Guzhen have the whole led lighting chains.So the price here is very Competitive.Many of the led light lower than your local market 50%.And many led light here factory price here just only 10-20% of the local market price.So you can get the best price in this biggest led lighting market. 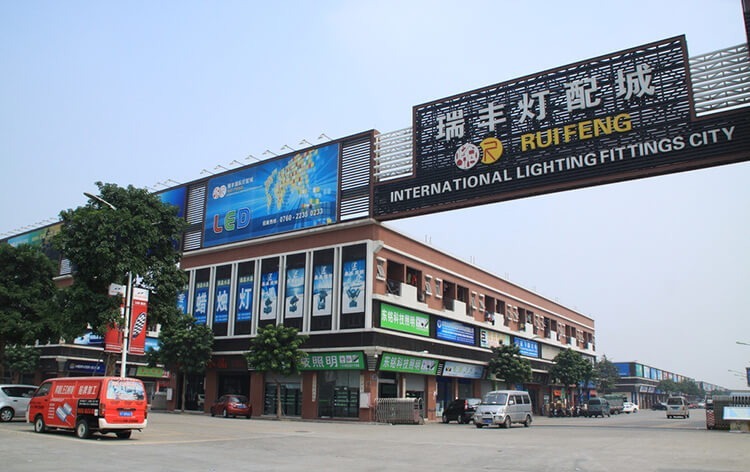 Guzhen’s lighting market is mainly around Times Square,World Trade Lighting Expo Center and Century Lighting Square.The more famous lighting cities are Star Alliance, Times Lighting City, Century Lighting City, Modern Lighting City, Oriental Baisheng Lighting City, Hua Yi Square, Lee Wo Square, etc. Located in Guzhen Town, Zhongshan City, Guangdong Province, China's Lighting Capital, it officially opened on October 22, 2014, covering an area of 47,000 square meters, 11 stories high and a total building area of nearly 360,000 square meters. Lighting culture in one of the international professional lighting stores. Star Alliance of its own continuous development and progress, a short period of 3 years in the lighting industry has enjoyed a reputation. Since its opening, it has been awarded "China window of World Brand, World window of Chinese Brand", "most Investment value Market of the year", "Business Mode Innovation Lighting Industry designated practice Base", "City level intellectual property protection demonstration base" and other honorary titles. Relying on the global natural advantages of the world's lamp capital, the Star Alliance Global Brand Lighting Center has become the Chinese window of the world brand and the world window of the Chinese brand. Time Lighting Square is a business, leisure, entertainment, food and accommodation as one of the high-level, comprehensive commercial real estate, building area of 79,000 square meters, 25 floors, 1-9 for the large-scale lighting market, Floor 10-25 star The Business Inn, including swimming pool, conference room, dining facilities, gymnasium and so on are on the 10th floor. The Times Lighting Square has three major features: first, the unique large-scale lighting supermarket in ancient town; secondly, the first commercial property managed by commercial operation in the ancient town, which provides unified business services and professional integration and promotion channels. Again, it is the first commercial square with Chinese and western restaurants, The Business Inn and other supporting facilities. 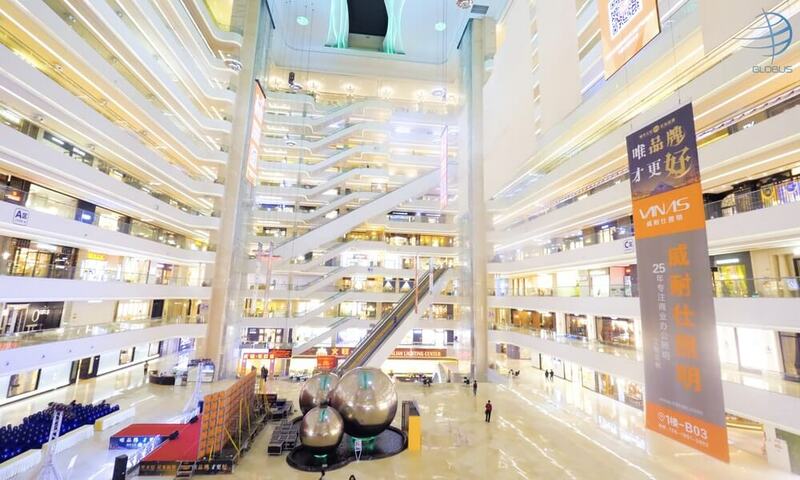 Century Lighting Square has advanced hardware facilities, there are leisure areas in the square and central air conditioners are open all day long. 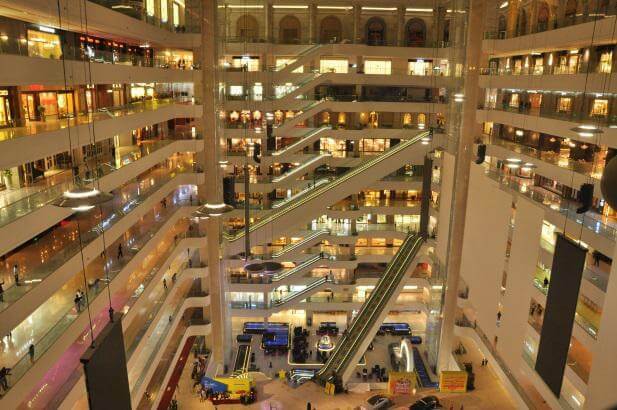 It is one of the first shopping malls in ancient town to set up walking escalators and sightseeing ladders. It is a milestone for the operation of lighting in ancient towns to scale, and its emergence has pushed the operation of lighting in ancient towns to intensive and professional direction. Century Lighting Square is located in Zhongshan ancient town "Lighting one Street" (No. 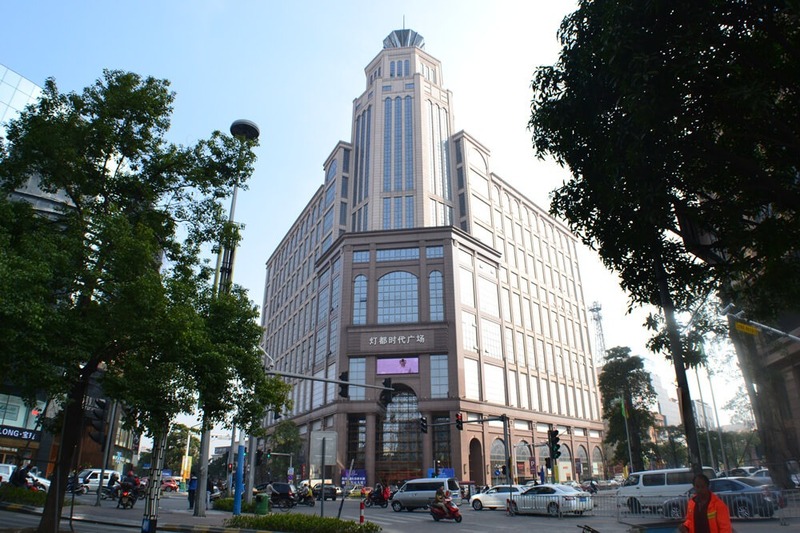 56 Xinxing Middle Road, opposite the Gangdong arch), the square building is 10 stories high, the total operating area is 20000 square meters, there are more than 100 shops, mainly in the management of medium and high grade lighting brand. A variety of, including lighting, art, home lighting and other fields, creating exquisite products of professional lighting trading platform. China Lantern World Trade Lighting Expo Center, located in the core of the ancient town, is mainly engaged in top brand lighting, set display, sales, logistics in one of the comprehensive sales. 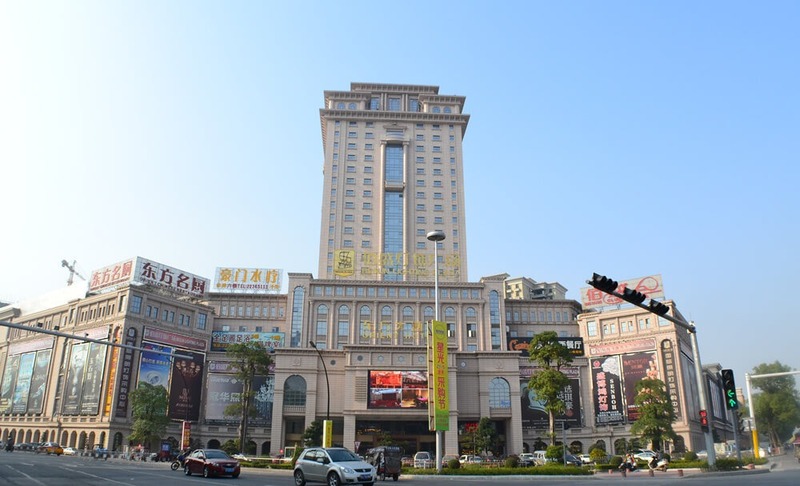 The World Trade Lighting Expo Center is located on the 1-3 floors of Yiting Hall Garden on Zhongxing Avenue in ancient town, with a building area of more than 51000 square meters. It is divided into two areas, namely, the professional market, the exhibition, the experience, the logistics and so on, to form a multi-function. High-efficiency unity, dedicated to create a one-stop experience shopping rich platform, super-class large-scale property building. Dongfang Baisheng Lighting Square is located at No. 1 Zhongxing Avenue, Guzhen Town. It is only 5 to 15 minutes' drive from Guanzhu Light Rail Station and Expressway, with convenient transportation, complete facilities and elegant environment. The main building of Dongfang Baisheng Lighting Square consists of 26 floors, covering an area of 28000 square meters, with a total building area of 139900 square meters. It integrates accommodation, catering, entertainment and conference reception. The plaza hotel will be the first commercial concept hotel in China with the theme of "lighting culture". 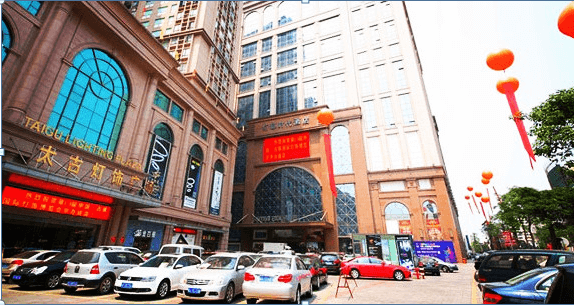 Taigu Lighting Square is located in the center of the most prosperous economic business district in ancient town, next to Times Lighting Square, Times Hotel, World Trade Lighting Square, the location is superior, it is the necessary place for buyers. Taigu Lighting Square purchase huge flow of people, is a necessary place for businesses. Taigu Lighting Square is a brand new upgrade of the professional high-end lighting store, the building is 23 floods, has attracted more than 160 well-known lighting brands, with the stage. 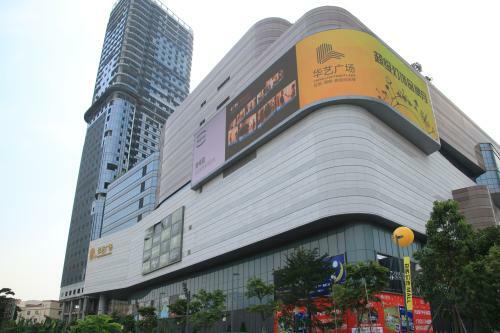 The square uses 1 / 1 property operation mode, that is, a brand set up a brand image store on the lower floor of the store, and a large area exhibition hall on the high floor. This mode has greatly saved the operation cost of the merchant. Opened the old town lighting shop brand-new management model. 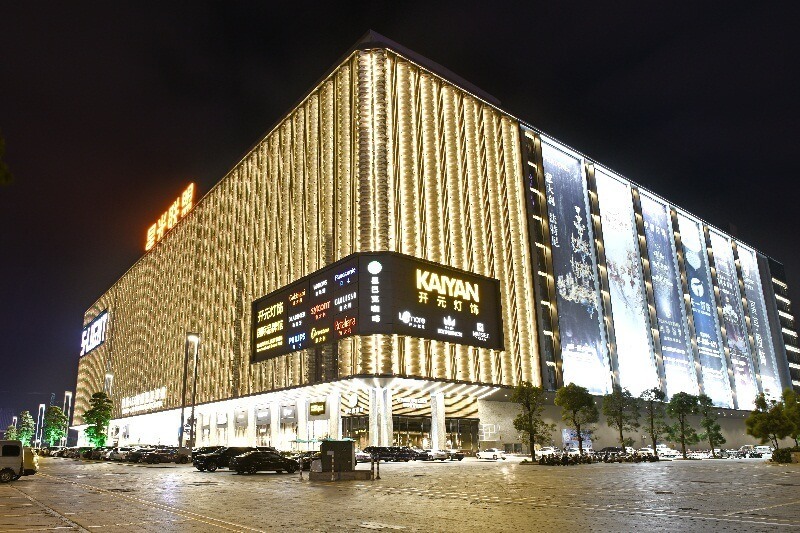 Huayi Lighting Plaza has a lighting industry park with an area of 200000 square meters and a business exhibition hall of more than 20, 000 square meters of general stores. It has successfully purchased and built research and development, production and sales of related products covering lamps, light sources, accessories, etc. After-sale and other systems industry chain. As a lighting display platform, Huayi International Lighting Plaza provides a national standard for the display, design and sale of lighting. The convergent commercial MALL, adopts the "1 5" comprehensive supporting mode, with the international lighting square as the core. With business marketing headquarters, five-star hotel & The Business Inn, leisure and entertainment center, conference center, global gastronomy, for domestic and foreign buyers to provide one-stop lamp service. Ruifeng Lighting City has great influence in the national lighting market. It is located at the intersection of Zhongxing Avenue and Cao Xing West Road in the ancient town. It is another modern professional accessories market in Zhongshan Lighting Market. The market covers an area of 100000 square meters. Construction area of 110000 square meters, can accommodate more than 1000 lighting accessories enterprises. Address: Zhongshan City District Zhongxing Avenue. These are the wholesale lamps and lanterns markets worth visiting in ancient towns. So far, there are 7,000 lighting enterprises in the ancient towns, all of which are lighting shops along the streets. Some people say that the so-called wholesale lighting market in ancient towns is nominal. Because the ancient town itself is China's largest wholesale lighting market. I suggest you have better go to see the factory.Guzhen is not a big town. Half hours you can go everywhere in Guzhen.There are many trading company in Guzhen.Many of them don’t have factory.You find a factory first you can have a better price.Second you can have a stable supplier. Of course,There are some other top led lighting market in China and also have some online market.Such Shenzhen Huaqiangbei lighting market,Guangzhou led lighting market,Changzhou lighting market.Shenzhen Huaqangbei led lighting market is worth seeing.Guangzhou lighting is small,Changzhou lighting market is in Jiangsu province, That is not convince for many client to visit. So Guzhen lighting market is the best choose for you sourcing led lighting from China. There are many lighting exhibition in the world.Guzhen also have a lighting exhibition every year.Many clients are come here from all over the world.But I suggest,Guzhen town is the largest lighting exhibition in the world.Here every day is exhibition day.So if you are doing lighting market research,Guzhen town is one of the best market you need to visit. Video of Guzhen Lighting exhibition.This is exhibition not big as GuangZhou international lighting exhibition and Hongkong lighting exhibition. Guangzhou airport to Guzhen by bus. You can see from the map.It is one and half hour by bus from Guangzhou airport to Guzhen.There is a bus station outside the airport.It is easy for you to ask a service personal. Guangzhou city to Guzhen by light rail. If you are in Guangzhou city,you can go to Guangzhou south station by light rail to Guzhen.It only need half hour to Guzhen.Very convenience. There 3 ways from HongKong to Guzhen. First,You can go to Guzhen from Hongkong by ship. Hongkong airport have ship wharf directly to Zhongshan wharf.It is about one and half hours. Second,you can take a train from Hongkong to Guzhen. You can take a train from Kowloon west station to Zhongshan Xiaolan station directly.It is about one and half hours. Third,You can go to Guzhen via Hong Kong-Zhuhai-Macao Bridge. You can go to Zhuhai via HongKong-Zhuhai-Macao bridge first.Then you can take a train from Zhuhai to Xiaolan.This is need approx 2hours. Shenzhen is a big city,many client like come to Guzhen from Shenzhen.You can take a taxi from Shenzhen.Cost is about 300RMB(50USD),this can save time.Also,you can take train from Shenzhen north to Xiaolan station.It is also convenience. There are million people come to Guzhen doing business from all over the world.Guzhen now is international.If you are doing lighting business.You can’t missing Guzhen. 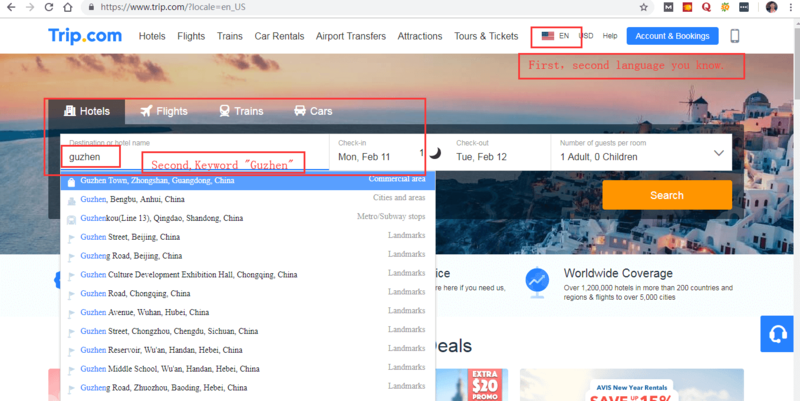 You can find hotels from big travel website,www.ctrip.com.Tips,this website is better than www.booking.com. Ctrip price will better and more hotel than Booking. 1,Guzhen is the biggest led lighting market in the world. 2,Guzhen is the very important lighting market you need to visit. 4,You can source many kinds of led lighting from Guzhen with competitive price. 3,Come to Guzhen from all over the world is very convenient. 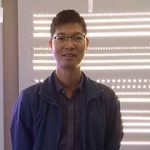 Founder of Lightstec.Engineering degree.More than 13 years working experience in led lighting business.Familiar with producing led lighting products.This blog share you knowledge and solution in led lighting.Welcome sourcing led lights from China. Very professional lighting market research blog.Thanks. Hi Jing,Happy this can help you. Dear George,Thanks.Let me know your company detail.We can do some lighting business. I have doing lighting business more than 10 years.I never been to Guzhen.I will plan there in 2019.Hope will see you there. Dear Nancy,welcome here to visito our factory. This post is helpfule for me to undestand China led light market.I think we will mave business oportunity. Dear Jacky, I am happy this post can help you . We will come to guzhen next week. Nice blog. Hi Prrie, hope see you here. I am doing lighting business 10 years in UK.I plan there this year. Hi Brown,you can find amazing lighting world here.